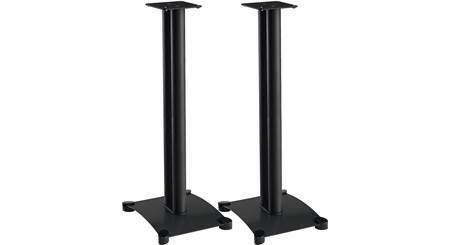 Are the stands large enough to hold Boston A26 bookshelf speakers? Worried they may be a little small. I had a a set of speakers that were 10X9X19 and had no problems with the stands on carpet. Design: Each base is made of anti-resonant MDF finished with three coats of hand-sanded black lacquer. Adjustable floor spikes are included to provide stable footing on carpeted floors, and to further minimize resonance. 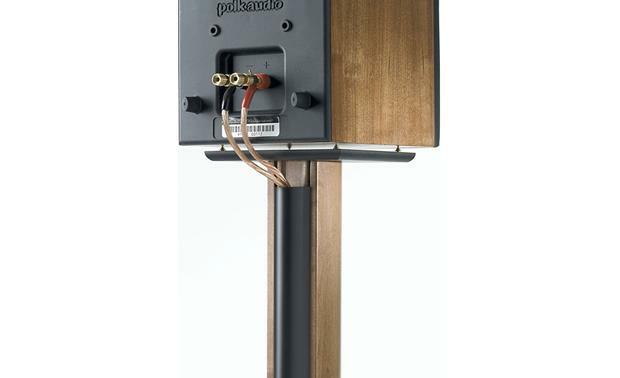 A single sturdy black wood pillar supports the low-profile top plate, which features a choice of neoprene isolation pads or brass isolation studs. 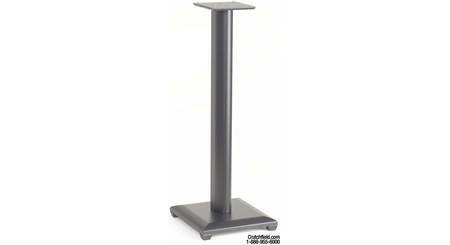 Plastic wire covers give your speaker stands a neater look by concealing the wires completely. Spiked Feet: The spiked feet pierce the carpeting and anchor the stand to the floor, keeping the speaker stable and reducing resonance. With the spiked feet installed, the stand height is adjustable from 35.5" to 35.75". Note: If you do not wish to use the spiked feet, Sanus has included plastic isolation feet that will not scratch your floor. It's tough to say if the existing plate (6 x 6) is adequate. I have bookshelf speakers that measure 6.5 x 6.5 so mine fit perfectly. MIne are just sitting on there though on those sharp brass studs (they are spikes actually but not to be confused with the floor spikes) that also come with the stand. If I wanted to, I could easily knock them off the stands with my hand as they are not anchored down but only resting on the studs. Your speakers are likely heavier than mine and would resist being knocked off as the stud spikes might settle in a little deeper. You can have the spikes dig into neoprene pads that come with it also if you don't want the spikes digging into the speaker wood itself. Unless you have a lot of activity like kids throwing balls around or kids running around, I don't think the speakers will fall off. Mine have never come close to falling off. I think if you let the spikes (brass speaker studs) dig into the self adhesive neoprene pads that come with it, I think they will be OK. There are stands with a bigger top plate. 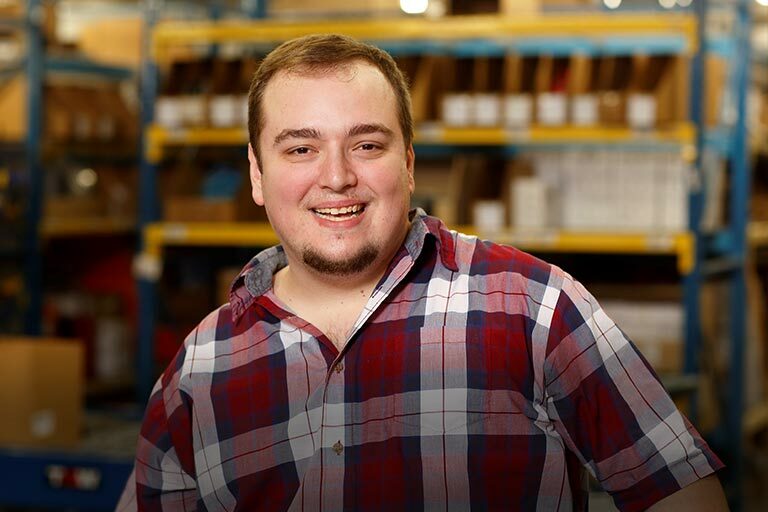 Consider checking other brands. I think velcro is inevitable if I you want to avoid an 'accident'. Does anyone know if these will hold a klipsch rp-160m bookshelf speaker? Should work. The top plate looks small but I used some good two sided tape and it is working well. Yes, they can hold 25 lbs. each. Will these stands work with the PSB Alpha B1's? The Sanus NF36 wouldn't have any problems supporting the PSB Alpha B1 speakers. For more details or to discuss further, please feel free to contact an Advisor directly by phone (888.955.6000) or online chat. Hope that helps! 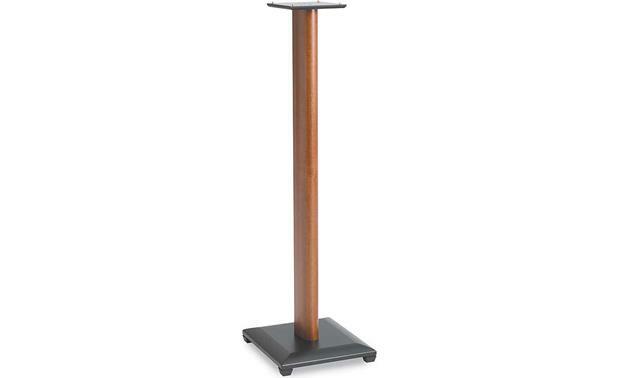 What is the height of the base on this stand? Can the rubber feet be removed so it can be tucked underneath a couch with low height clearance from the floor? Never attached the rubber feet, so you wont have o remove then (they are optional ). I just measured the base it is just under 1" at its peak. It is not quite 1" and just a tad higher than 7/8", i also tuck under couch. I have 4 of these stands for 5.1 surround, but do not have def techs. 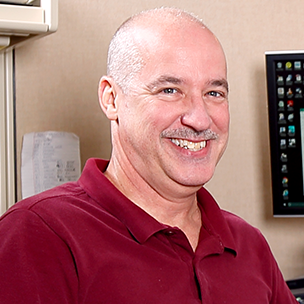 I'm using KEF IQ-3, which are 14" tall, 13" deep and 9" wide. They weigh 14.8 lbs. The stands work fine with these speakers, however, if bumped hard enough, they would fall over. I have not had that happen, but it is a possibility. I have used the NF36 before, it is a sturdy stand. In my opinion however the top plate is not large enough to support a speaker 16" deep without some minor modification. You would need to attach a second, larger top plate to the 6" x 6" that comes with the NF36. If you were to set a 16" deep speaker directly on the 6" x 6" plate the speaker would be poorly balanced and unstable. They should fit just fine. I have the klipsch rs-62s on them and that is a big speaker and they still fit. I'm using the same stand that you might be buying. The speaker I ordered is a Samsung that I velcro onto stand to keep on stand. I have Klipsch RB-61's on mine that are about double the surface area of the top of the stands. The stands handle these without any issues, no vibration, or worries about them toppling off. Not familiar the A26's but these stands are great! No, I do not think the stands are large enough, although you could put a larger piece of wood on top to accommodate the larger footprint. And (IMHO) the speakers weigh too much, making the stand top heavy and prone to topple, unless braced somehow. I don't know how big Boston A26 speakers are. I use the stands for a pair of old JBL 4408 studio monitors. 8" woofer and tweeter in pretty heavy cabs, stands are in the corners of my living room so kids can't knock them over. Works great. I'm using them with a pair of Monitor Audio BX2 bookshelf speakers. Almost the exact same dimensions as the Boston A26. They work just fine. I have no idea since I know nothing about the speaker. The stand was great for the speaker we put on it (little Sony speaker). It was easy to assemble and looks really good. Sorry I can not help. tough call. I'm using it for speakers that are about an inch narrower than the A26. I would do it myself, but the stand might be a bit too narrow here for some tastes. It is certainly safe; it won't fall off the stand. I don't know. But go to the Sanus website, download the technical information bulletin and all the dimensions are shown. Searches related to the Sanus NF36 Speaker Stands Natural Foundations Series IV  36".